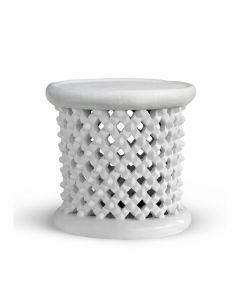 Charmingly eclectic, this small, nature-inspired side table is constructed of iron with a powder-coated finish and white granite top. The table measures 17" in diameter x 21"H. Click on image for greater detail. If you are a qualified designer, please join our trade program!